The NYC skyline is simply exquisite. When I see it in the distance my heart starts to beat a little bit faster. More incredibly tall (and skinny) skyscrapers are coming to the famous New York City skyline. According to 432 Park Avenue’s website (which is projected to be finished this year) it will be the tallest residential tower in the Western Hemisphere upon it’s completion. Many of the units sold well before the building was close to being completed, including one of the 2 Penthouse’s which sold almost 2 years ago for $95 million. The building is 1396 feet tall and it can been seen from every borough in New York. News of even taller buildings are being announced all the time. A rendering of 111 West 57th Street came out yesterday and it’s confirmed that its going to be even taller than 432 Park Avenue at 1428 feet tall! Interested in living in one of these giant skyscrapers in the sky? Well, they don’t come cheap. 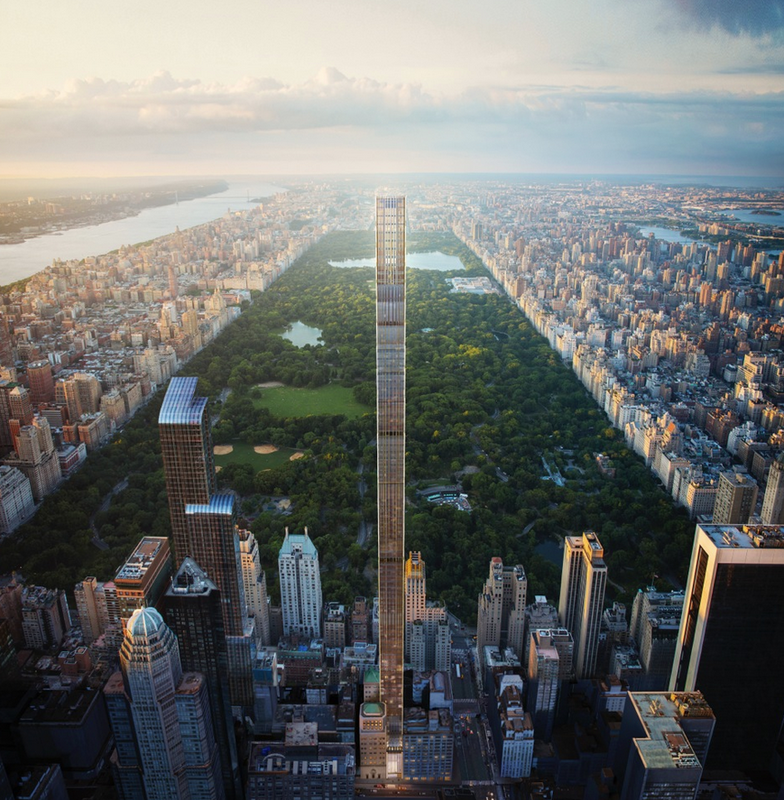 Prices start at $14 million all the way up to $100 million for 111 West 57th Street. I think I will just have to admire from the ground! Unless of course anyone reading this plans to move there and wants to invite me for a tour! I’m sure the view will be amazing! This gives you an idea of how tall 111 West 57th Street will be compared to many other iconic buildings! What do you think of the changing skyline in Manhattan? Do you dream of living in one of these giant skyscrapers? Let me know your thoughts in the comments below! Previous story Guide to NYC – on a budget – New Series Coming!